Slide09 - Elias and Williams: The Inside-Out of Skin by dermatologists and skin researchers Peter M. Elias, M.D. and Mary L. Williams, M.D. Elias and Williams: The Inside-Out of Skin by dermatologists and skin researchers Peter M. Elias, M.D. and Mary L. Williams, M.D. July 6, 2018 By Mary L Williams, M.D. Physiologic lipids in barrier repair formulations penetrate the stratum corneum, are taken up by living epidermal cells, packaged with endogenous lipids and secreted back into the stratum corneum where they form membrane structures. 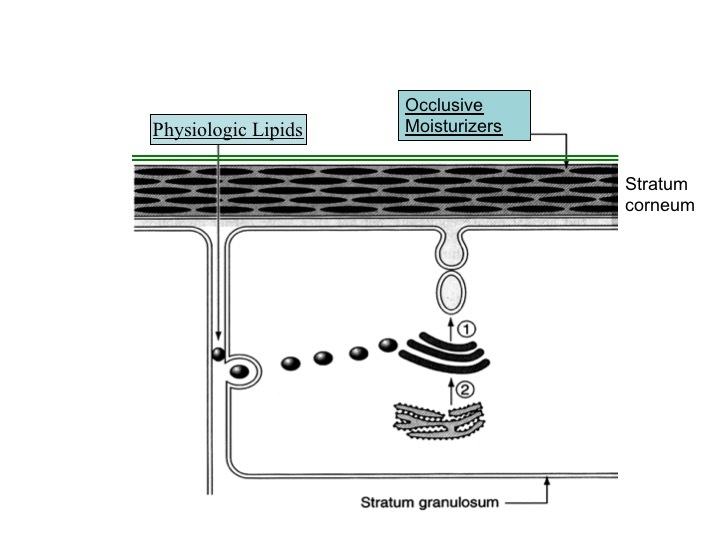 Non-physiologic lipids of most moisturizers remain as a film on the skin surface. This booklet offers up-to-date scientific information on how the skin works to keep us healthy and what we can do to keep our skin healthy and beautiful. What’s So Good About Stress? Nature Has A Built-In Pharmacy! December 29, 2018 By Peter M. Elias, M.D. March 29, 2019 By Mary L Williams, M.D. Q: What Are the Layers of Skin? Why are they important? What Time Is Your Skin?